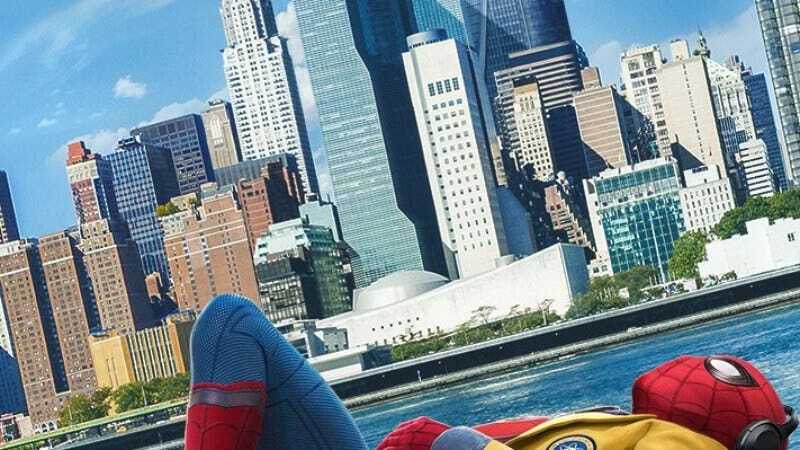 In a possible reminder that not every superhero needs to spend every second of every day brooding atop apocalyptic mountains, Sony has just released a new series of posters for Spider-Man: Homecoming, emphasizing the more casual side of superhero life. They’re all pretty great, but our favorite has got to be the one that sees Spidey lounging by the riverside, the Avengers Tower prominent in the distance. Homecoming is selling itself as the Spider-Man movie that focuses on Peter Parker the teenager, and there’s something about Spidey’s posture and costuming that really emphasizes that he’s just a kid trying to get through a day without anybody trying to kill him (socially, or otherwise.) Spider-Man lounges its way into theaters on July 7.